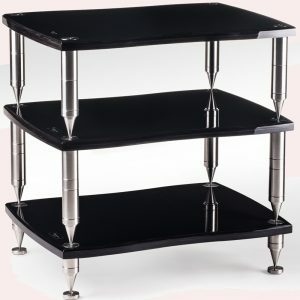 The Quadraspire Q4Evo is a major upgrade of our original Q4 rack that was originally launched in 1995. 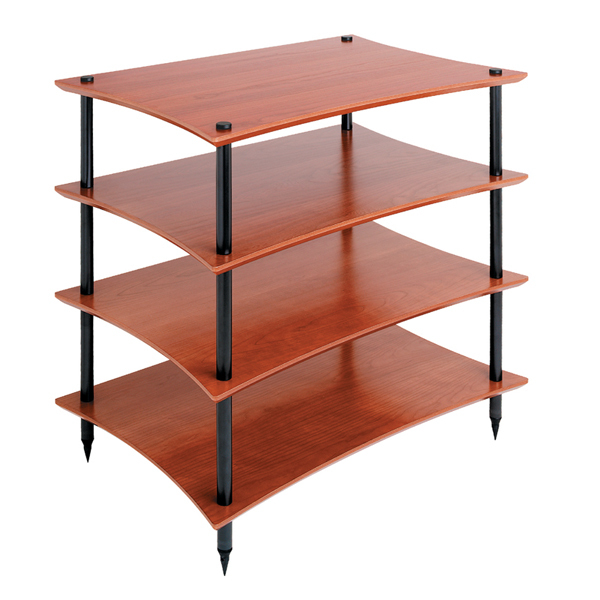 The Q4EVO is a practical modular solution combining shelves with aluminium columns and feet to enhance your sound system both sonically and visually. 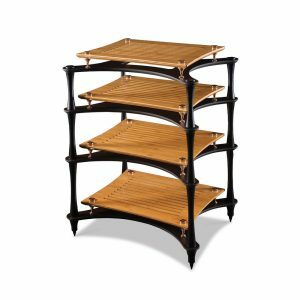 Its flexibility allows you to build the rack to your own specification to fit any number of components – use PRODUCT BUILDER to build your rack online. 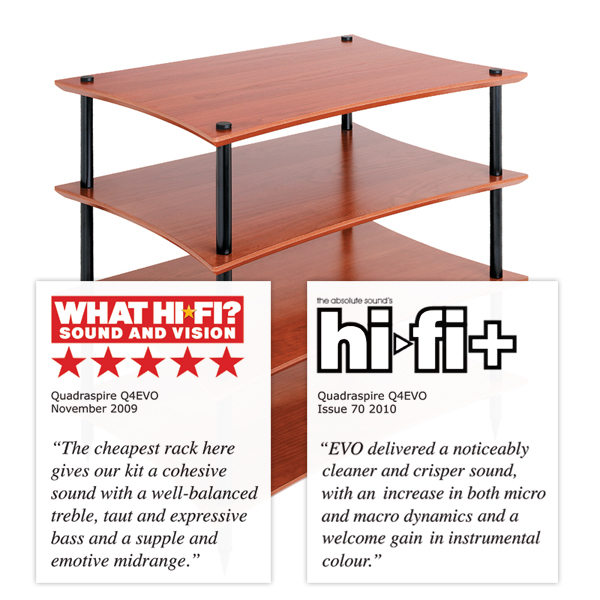 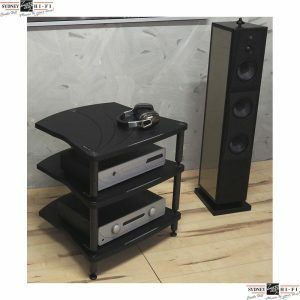 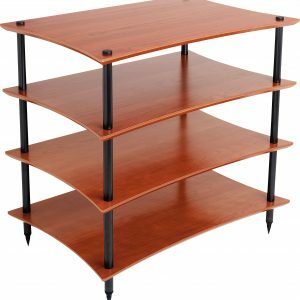 The Q4EVO is the same as the original Q4 rack except for some intricate machining on the underside of the shelf which will give improved performance – “the cheapest rack here gives our kit a cohesive sound with a well-balanced treble, taut and expressive bass and a supple and emotive midrange” What hifi November 2009.